A woman walks through the dark corners of the Prater park at night. Some domestic workers, holding university degrees, leave years-long professional experience behind them, reallocate their energy and know-how to the new area of labour that lies ahead. People gather outside embassies, protesting for some reason we ignore. Churches are occupied by strangers of who we have never heard before. People persistently gathering, cooking and eating in clusters in parks or by the river. Who are they? Where do they all come from? Why are they here? How did they make it here? Were they running from a disaster? Who uses the public spaces, to what extent? Who is allowed to access what; what is allowed to be accessed, and by whom? Whose body is used, whose labour makes a difference for the others? How do people come to terms with the invisible boundaries they face? How do they learn which issues not to touch? Who deserves visibility? Who is always there but remains invisible? How to help the ones in the shadows without harming them by dragging them into the spotlight, endangering their invisibility? 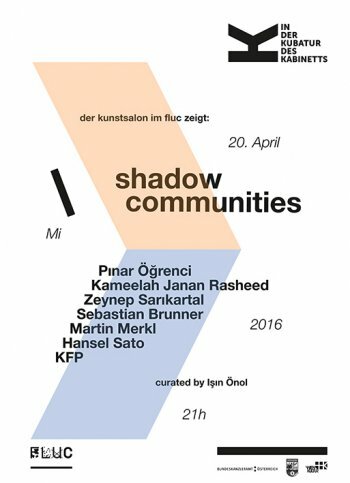 Shadow Communities is an intervention that poses questions to the passers-by about their own access to the city. 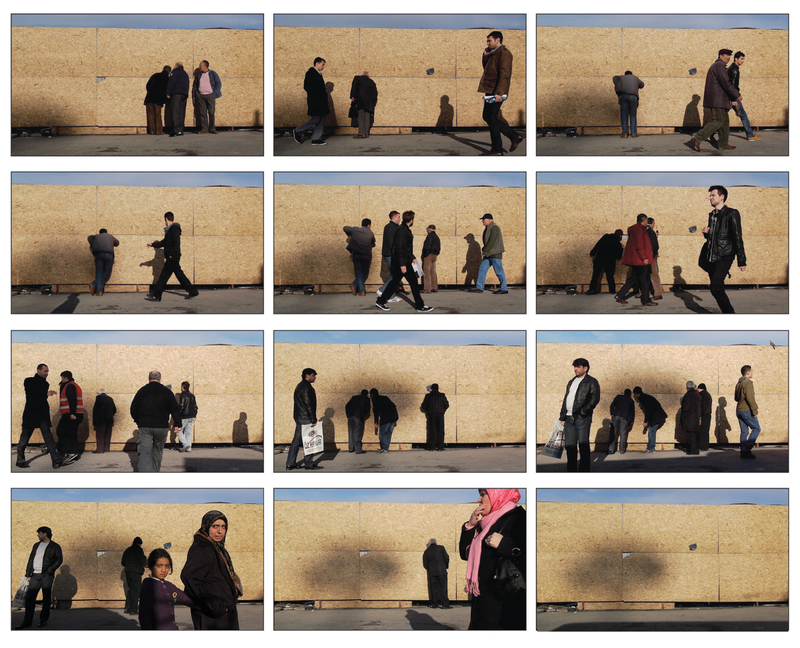 Each work shown in the public space aims at communicating with an unkown audience by confronting observers with the limits of their own participation possibilities when it comes to shaping social life and the material fabric of the city. In doing so, a latent space is opened up that allows for a change of posture and perspective when engaging in negotiations of collective activity and coexistence. The intervention takes place on a vibrant yet cacophonic square between a train station and a public garden, between vast streets, an amusement park, and a night club – a square that stands iconically for the relentless passing by of mutually invisible identities and communities, for co-presence without interference, for coexistence without collaboration. Although an assembly of publicly accessible features, neither the square nor its surroundings appear to have grown from the bottom up: They were given by the emperor, by a city planning council, by a public-private partnership, and now serve as a screen for shadow communities to drift by. To give mass to the shadows, to amplify their presence until they can become actors themselves, is the potential that this square both negates and demands.